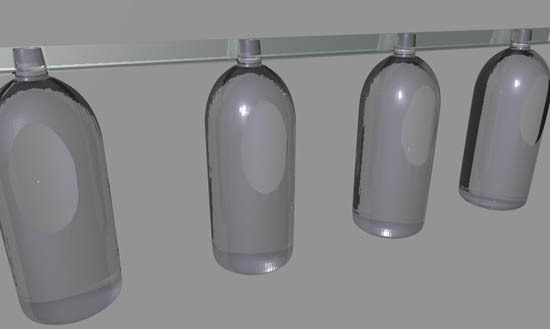 In order to get a sense of the spacing of the bottles we developed a model of a 2 liter bottle, which allowed us to previsualize how they would hang and be spaced. This was done using a lathe nurb in Cinema 4D. You an download a free useable version of C4D though you cannot save files until you pay for it. Free downloads are a great way to learn this modeling program.